WHY GO: A misty darkness spreads over Sleepy Hollow as the Headless Horseman gallops through an open field and up to a stone wall. Looking menacing in his black cape, the Hessian soldier whose head, it was rumored, had been blown off by an enemy cannonball, leans forward on his steed and silently takes a Red Sox baseball cap from an onlooker. He places it on his severed neck: a perfect photo op. 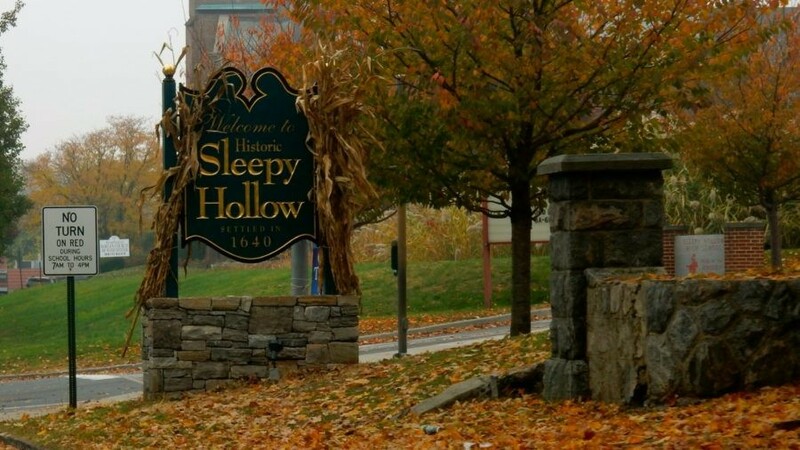 So, this is what it’s come to in North Tarrytown, NY –a Hudson River town renamed Sleepy Hollow in 1996 for tourism sake; the boiling down of local legends for fame, fortune and sightseers. 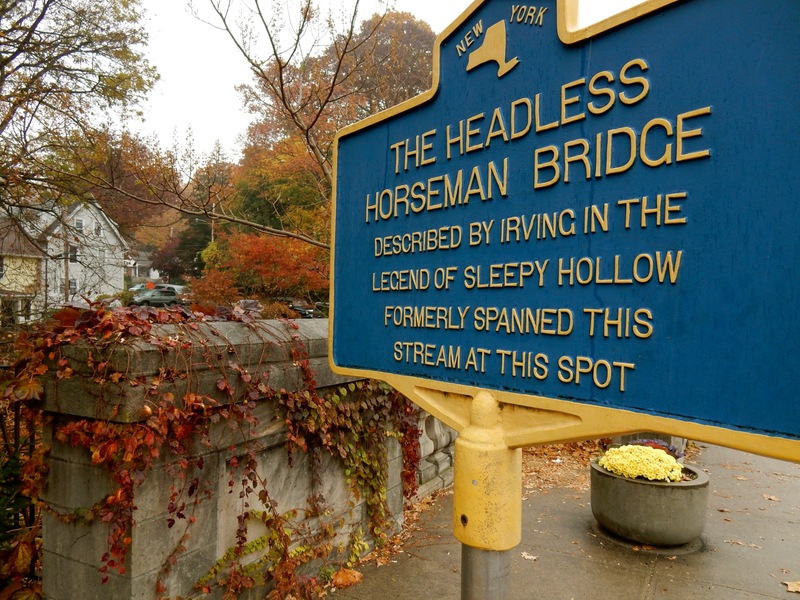 Washington Irving, America’s “First Man of Letters”, and author of The Legend of Sleepy Hollow, Rip Van Winkle and dozens of other popular stories, must have turned over in his grave not a few hundred yards from where the Headless Sox Fan pranced around on a recent Halloween weekend. Or perhaps he was thrilled that his famous ghost story, set right around the grounds of his final resting-place, has grown in popularity over the years. …the place still under the sway of some witching power that holds a spell over the minds of good people, given to all kinds of marvelous beliefs and who frequently see strange sights and hear music and voices in the air. Irving was so enamored of the Hudson River, in fact, that he decided to retire along its banks in the mid 1800’s. Irving’s home, Sunnyside, is open to the public, as are a number of historic restorations, including John D. Rockefeller’s estate, Kykuit, and other sites of significance. To package all that is available to do and see here into a mere weekend is almost too much to ask. 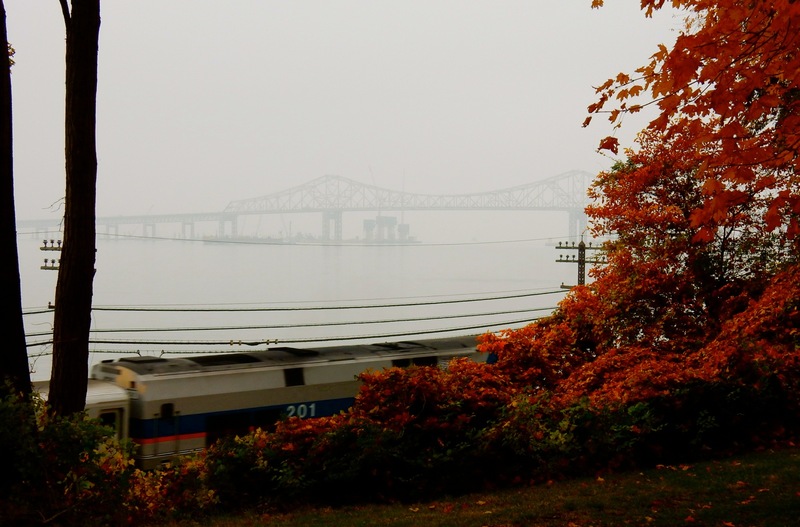 You can spend a good several hours at each of the many attractions and homes, explore the excellent shops on Main Street and take in major celebrity shows at the Tarrytown Music Hall. 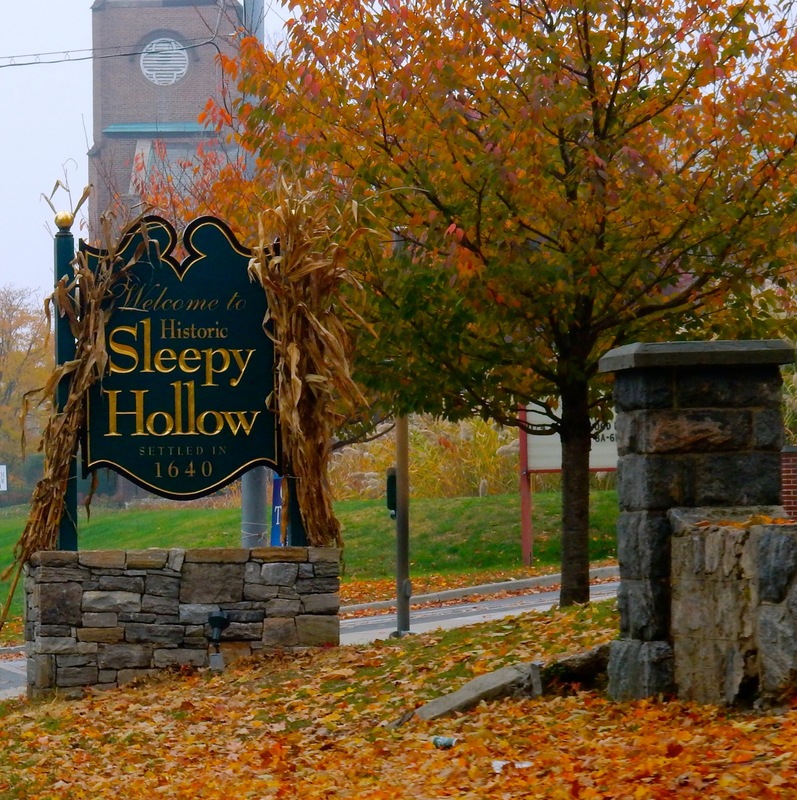 Sleepy Hollow is sleepy no more. 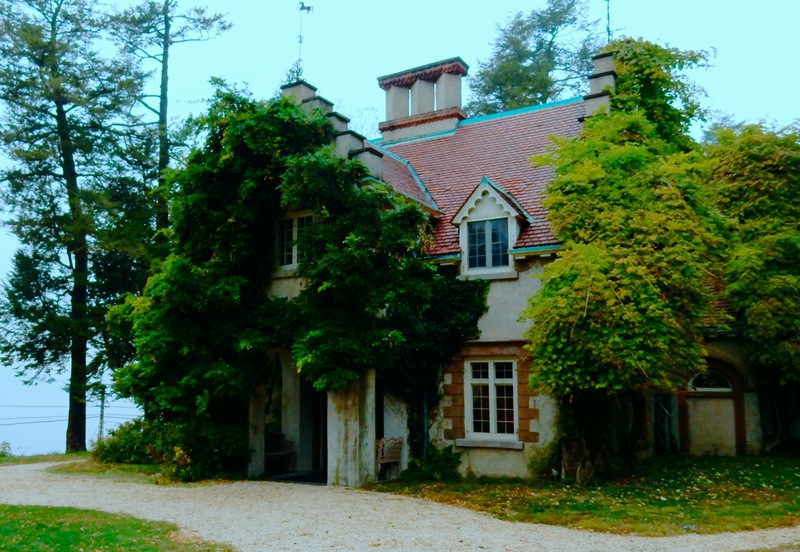 TOUR: Sunnyside, Washington Irving’s Home. With its ivy-wreathed portico and gingerbread hued exterior, “The Snuggery,” as Irving called it, puts one in mind of a fairy-tale cottage. Costumed docents lead you through the home and property where Irving lived out the last years of his life. Washington Irving, named after our nation’s first president, was born in New York City and lived in England as a young man. He was the first American writer “celebrity,” and the first to make a living completely from his books. Built in 1835 in a mish-mash of European styles – Dutch, Roman, English, Mediterranean – with thick vines added to create an antiquated appearance, Sunnyside was the only home that the author, then in his mid-40’s, ever owned. The public ate it up. 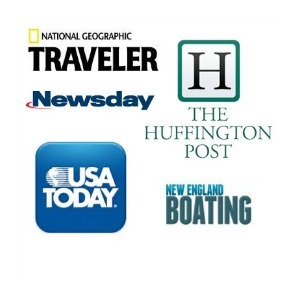 Called “America’s Cottage” by the press, the house became almost as famous as Irving was. I’ve made secret plans to move into Sunnyside ever since I first set eyes on it as a young girl. I could toil happily in the cozy study (filled with Irving’s original furniture and leather-bound books) just off the front door before retiring to the plush green parlor where French doors open up to a river-view patio. From here, a perfect Hudson vista is marred by utility poles and train tracks laid in 1849. Until then, Irving and his friends would travel to and from New York City by boat and disembark at his small private dock. As one of the country’s first NIMBY’s, Irving fought the railroad and lost. He did manage, however, to eek one concession out of the deal – his own private rail station, which gave Washington Irving the distinction of being the first suburban commuter into New York City – just 1-½ hours away back then (vs. almost 3 hours by boat). Irving lived with trains passing a few dozen yards from his home for ten years until his death in 1859. Open May – early Nov., Wed-Sun, one hour tours from 10:30-3:30, $12. VISIT: Sleepy Hollow Cemetery and Old Dutch Church Burying Grounds: Pay your respects to Washington Irving and the locals who inspired his writings at The Sleepy Hollow Cemetery (where Irving is buried) and adjacent Old Dutch Church and Old Dutch Burying Grounds, which was originally constructed by Frederick Philipse for his employees. Open 8-4:30 daily, free. 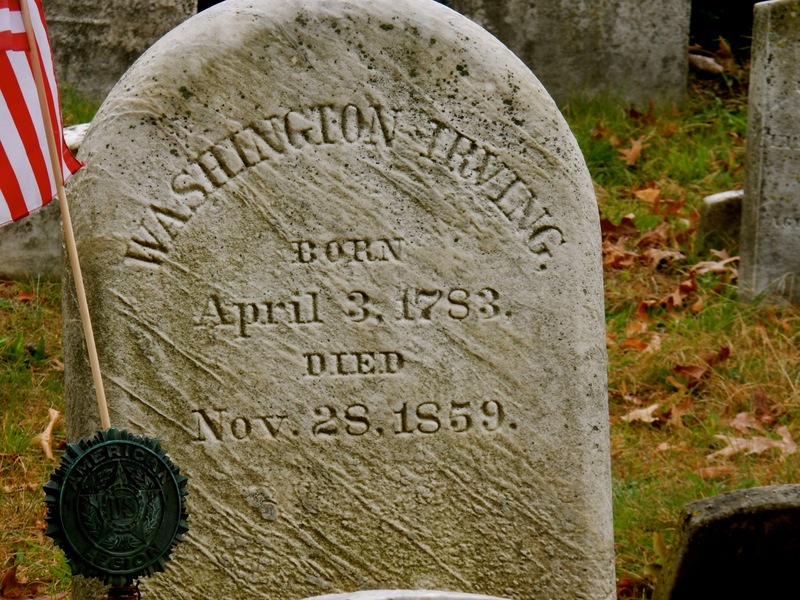 (Take a Getaway Mavens’Photo Tour of Sleepy Hollow Cemetery HERE). TOUR: Kykuit: The Rockefeller Family Estate. As the estate that housed four generations of Rockefellers, Kykuit is a prime example of a beloved family home generously transferred over to the public, and one of the most popular attractions in Tarrytown. 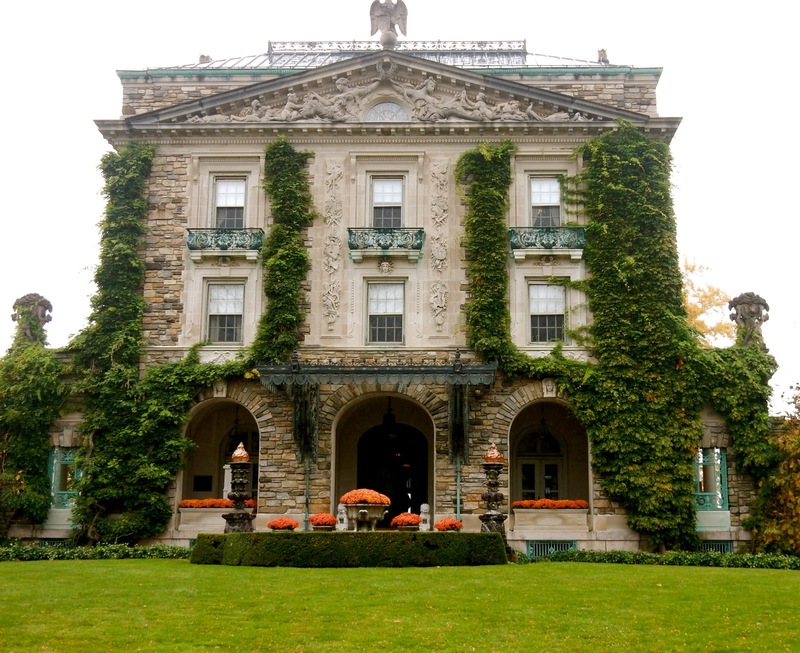 John D., founder of Standard Oil Co., built Kykuit in 1906, and throughout the years, it’s interesting to note how each generation put its own stamp on the home and gardens. John D. Sr, a strict Baptist, did not see the need for a grand ballroom or staircase, as this was to be his family’s country home and not a place to entertain. His portrait, done by famous artist John Singer Sargent, hangs in the dining room. Unlike his grandfather, Nelson Rockefeller, Governor of NY and Vice President of the United States under Gerald Ford, loved to entertain, and added a significant amount to his family’s art collection. He created an ersatz Museum of Modern Art in Kykuit’s basement, and filled it with Calders, Motherwells, and 30 Picassos, including 11 rare Picasso tapestries. (Nelson’s father, John D Jr., had grown up with the medieval Unicorn Tapestries, which he had donated to the Cloisters in NY City. Jr. loved the medium so much, he called on Picasso himself to create the pieces). Nelson installed switches in the living room that would illuminate and rotate a statue of Aphrodite in the inner garden – seen through the room’s picture window. 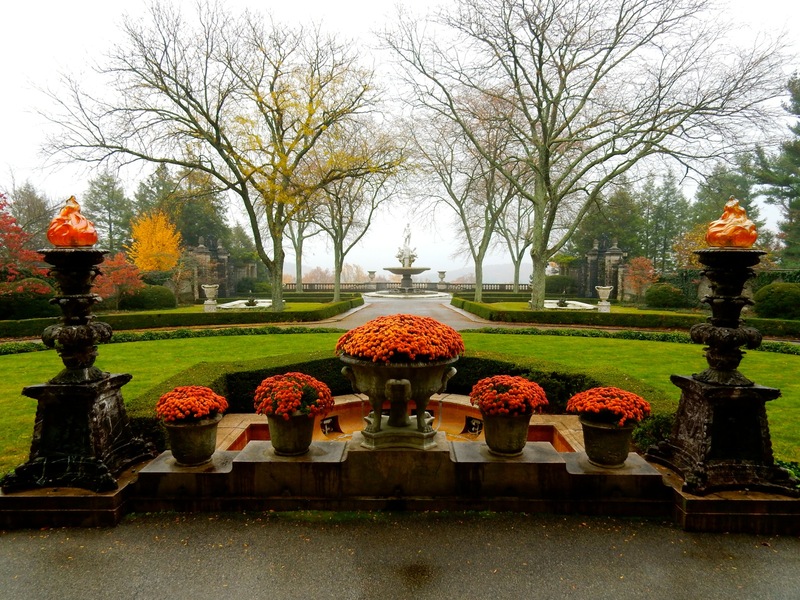 Kykuit’s gardens were designed by William Welles Bosworth – the acclaimed landscape architect of the day. 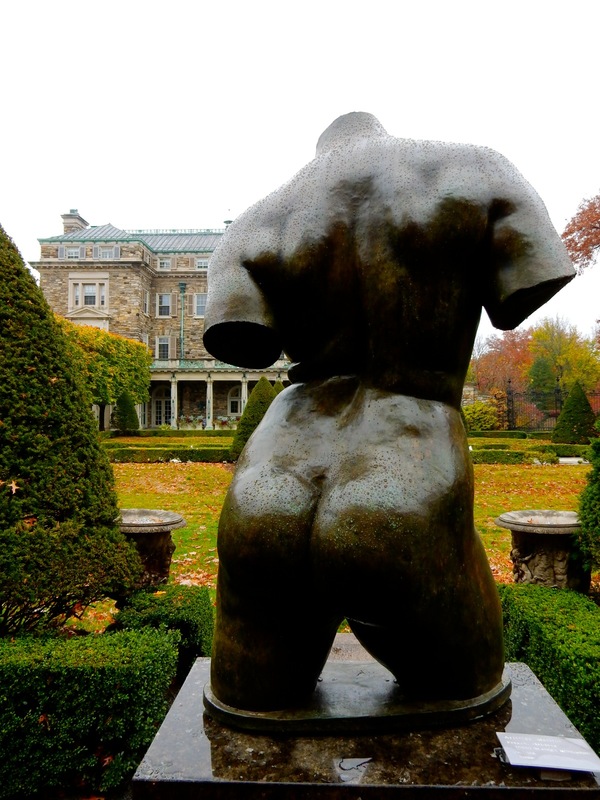 Enriched by 19th and 20th century sculpture from artists like Henri Moore, Degas and Rodin, the grounds of the 87-acre estate are terraced – one leads to another to another – and what appears to be a vast romantic landscape is really laddered acreage that blocks the view of downtown Tarrytown below. This illusion of grandeur was Bosworth’s calling card, and is what most visitors come to see. Open May-early Nov. Thus-Sun, Timed tours only start at 9:45, $40 for 3 hour Grand Tour, $25 for 2 ¼ hour Tour. TOUR: Philipsburg Manor. 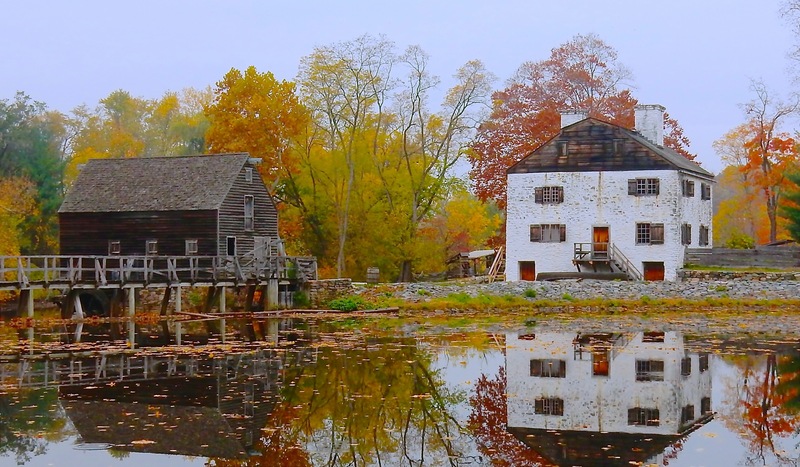 In 1693, William and Mary of England granted 52,000 acres of land along the Hudson to a carpenter named Frederick Philipse – who built his Manor home in Tarrytown and set up a milling/farming/trading complex managed for the most part by industrious and intelligent slaves. Little did Mr. Philipse know that a hundred years down the line, his property would become famous as the stomping ground for Washington Irving’s Headless Horseman, and that the Old Dutch Church, which he constructed for his workers, would be the final resting place for Irving and the many local residents who inspired his stories. The manor and its grounds have been restored to give visitors a feel for 18th century farm life – and does an admirable job – letting kids thrash then winnow wheat and turn a heavy grinding mill among many other interactive exhibits. Open May – early Nov., Wed-Sun. $20, adults. TOUR: Union Church of Pocantico Hills. You don’t have to go to France (Notre Dame Cathedral of Reims) or Israel (Hadassah Hospital in Jerusalem) to see stained glass windows designed by Marc Chagall. All you have to do is drive to this small 75-family church a few miles from Tarrytown NY, pay $7 for a tour, and walk in the door. Commissioned by John D. Rockefeller Jr. in the 1940’s, the nine windows (four on each side of the sanctuary, and a larger one on the rear wall) were installed, with some degree of controversy, in the ‘60’s. “Not everyone was onboard with modern art in a church,” says a docent. Chagall, a French Jew who came to the United States in the 1940’s to escape the Nazi’s, created emotional portraits of six Hebrew prophets – Joel, Isaiah, Elijah, Jeremiah, Ezekiel, and Daniel – though I have to admit that the Prophet Elijah looks very Christ-like. The Rose Window over the alter was created by another notable artist, Henri Matisse. Plan on at least 30 minutes here and take the tour. It’s a wonder more people don’t know about this place. Be aware, this is an active Church so Church events take precedent. Open April – Dec. Wed-Mon, 11-5, Sat 10-5, Sun 3-5, $7. SPA: The New York School of Esthetics. Get top-notch, professional facials and body treatments, offered by students in the final phase of a 600-hour program, at bargain prices (facials $40, full body exfoliation $73). FYI- In January 2016, the facility will be moving to White Plains, about 10 minutes away. Mon. – Thurs. 10-2:30, Fri. 10-1:30, Mon. – Wed. 6:30-8:30pm by appointment only. 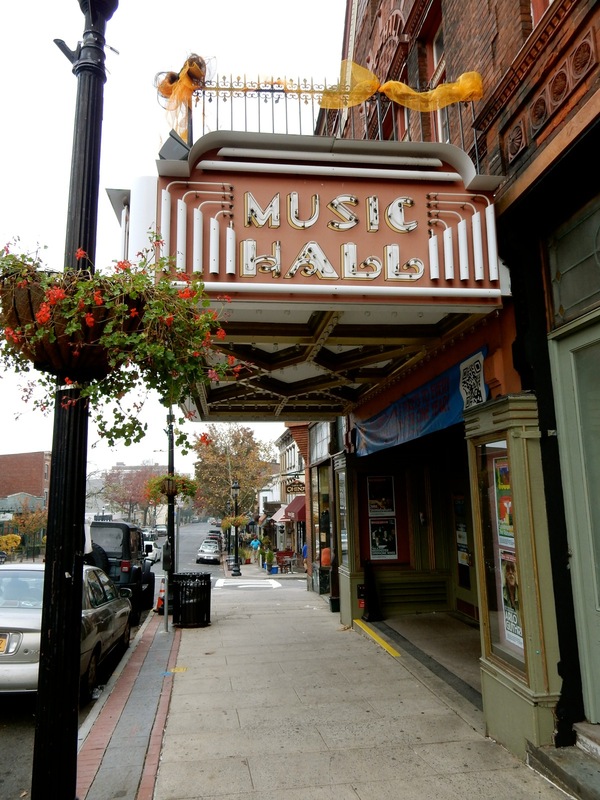 SHOW/MUSIC: Tarrytown Music Hall. The best of the best play here, be they musicians – Squeeze, Loretta Lynn, Marshall Tucker Band – or comedians – Jackie Mason just to name a few. Right on Main Street, within steps of great restaurants, this venue has been growing in popularity over the last few years. TOUR: Lyndhurst. 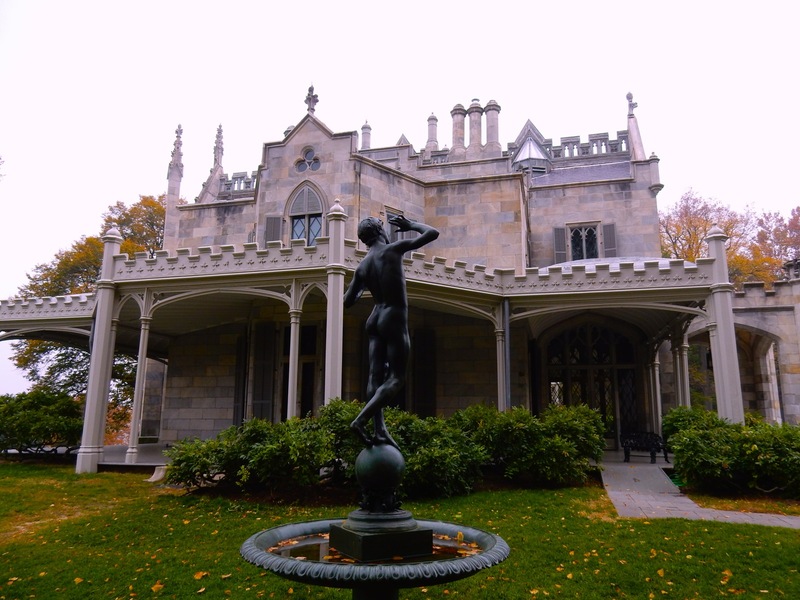 Occupied by empire-builder, Jay Gould in the late 1800’s, this Gothic Revival mansion is separated from the Hudson by forest laced with hiking trails and provides great views of the Tappan Zee Bridge (and the new one under construction.). Tours May-Dec, Fri-Sun 10-4, $18. 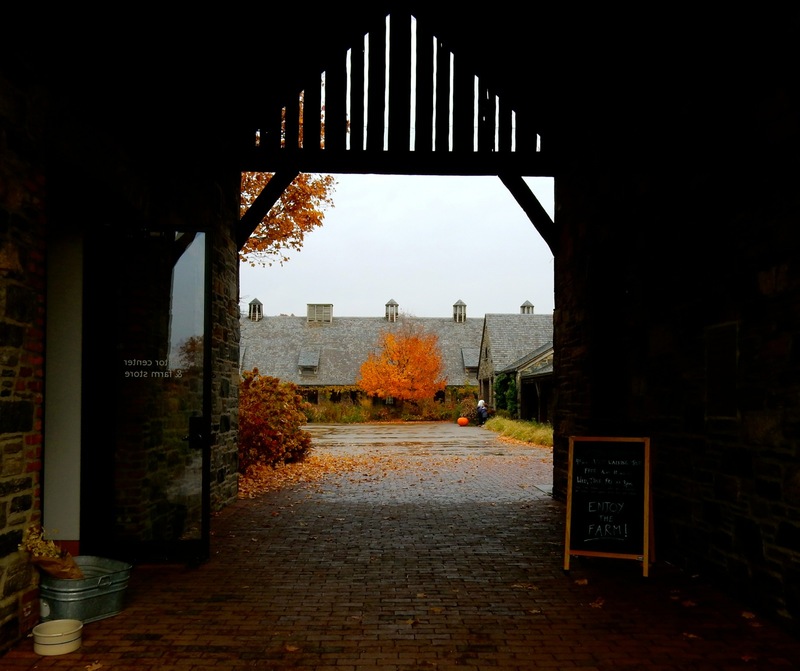 EAT: Blue Hill at Stone Barns. “An exhibit, a classroom, a laboratory and a garden,” Blue Hill at Stone Barns in Pocantico Hills incorporates a working farm and acclaimed restaurant (rsvp’s necessary) where “fast food” means from farm or garden to plate with no travel time. The farm and casual Blue Hill Café are open to the public W-Sun. 10:30 to 4:30. EAT: Lefteris Greek Restaurant. Shout “OPA” at the popular Lefteris Greek Restaurant; where the salad dressing is so popular, they bottle it for purchase. EAT: Two restaurants right beside each other are winning raves from locals: The upscale Bistro 12, and Korean street food, Bibille. STAY: Castle Hotel and Spa. If you wish to splurge on overnight accommodations, revel in the refined luxury of The Castle Hotel. 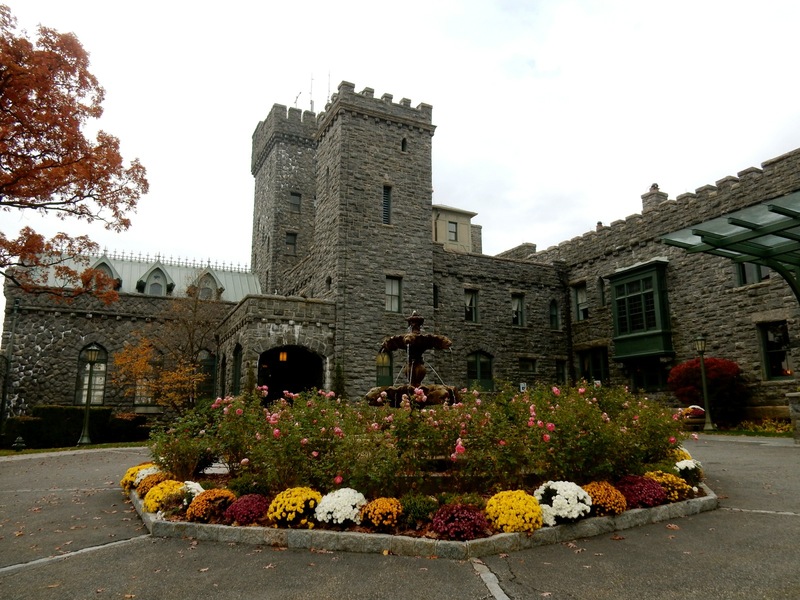 With its stone tower and cool hewn granite walls offset by cozy brocade furniture and dark wood beams, you half expect King Arthur to saunter through the door. Rates start at $309. 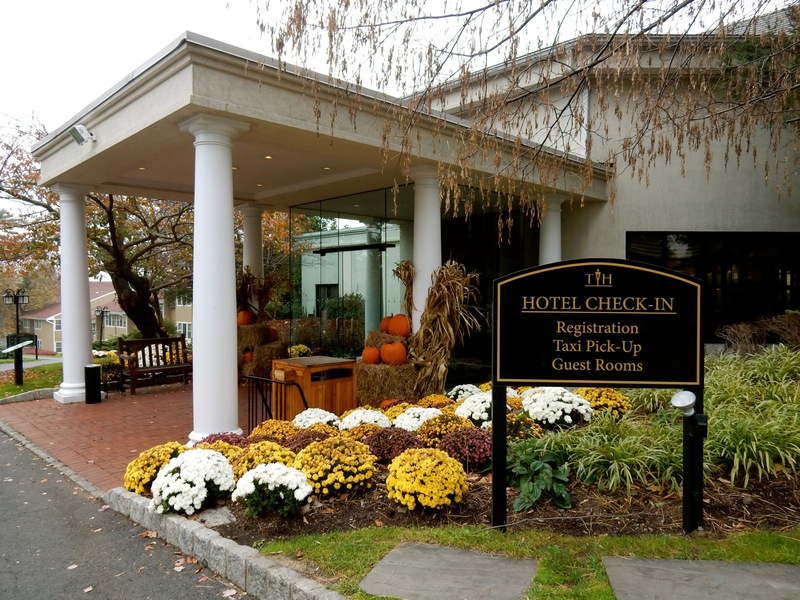 STAY: The Tarrytown House. Across Route 9 and a few hundred yards up the road from Sunnyside (Washington Irvings home), rooms in the main building of this beautifully landscaped conference center are appointed in traditional furnishings, so ask for one of the ten rooms in the King House, an 1840’s white mansion within the complex. Twelve foot ceilings, hardwood floors, four-poster beds, red granite counters in mosaic bathrooms and rich drapery add to the deluxe experience. Book one of the coveted four corner rooms, which are a bit larger and allow river-view balcony access through French doors. Rooms from $300 per night.